You can learn about sports, crafts, science, trades, business, and future careers as you earn merit badges. There are more than 130 merit badges. Any Boy Scout may earn a merit badge at any time. You don’t need to have had rank advancement to be eligible. Pick a Subject. Talk to your unit leader (Scoutmaster) about your interest in earning a merit badge. 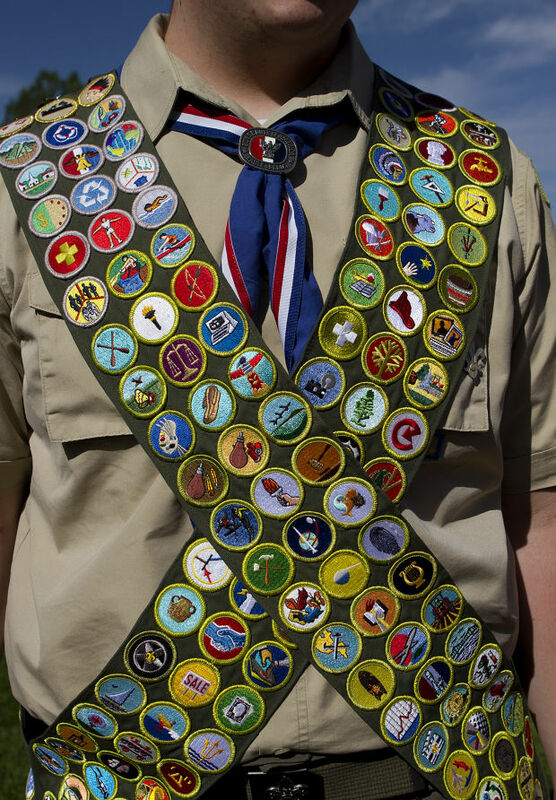 Read the requirements of the merit badges you think might interest you. Choose one to earn. Your unit leader will give you a signed merit badge application (the “blue card”) and the name and contact information of a merit badge counselor. These individuals have special knowledge in their merit badge subjects and are interested in helping you. Get the Badge. When the counselor is satisfied that you have met each requirement, they will sign your application (the “blue card”). Give the signed application to your unit leader so that your merit badge emblem can be secured for you. The current Boy Scout Requirements book is available at the Simon Kenton Scout Shop. Merit badge requirements are revised as needed to reflect updated information and technology.